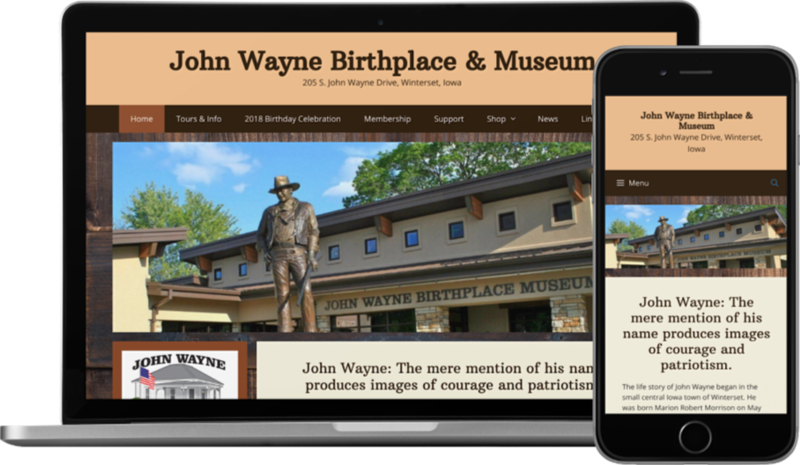 The John Wayne Birthplace & Museum website is viewed by thousands of fans each year. A store has been embedded in this site to sell merchandise from the museum’s gift shop. Annually in the spring, the website promotes the John Wayne Birthday Celebration held in Winterset, Iowa, the Duke’s hometown. New items are easily added to the store, or deletions made, upon request.